An alternative to veneers is a process called bonding, in which a tooth-colored material that looks like the enamel of your teeth is molded, shaped, and then hardened and polished. 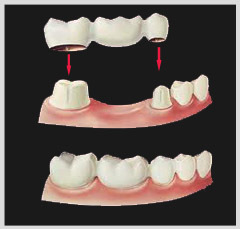 Bonding is often used for chipped or fractured teeth or to close the space between two teeth. It can also be used to completely cover the surface of each tooth to cosmetically mask discolored or malpositioned teeth. It is a painless procedure, where anesthesia is generally not required. The results are immediate and usually require little to no tooth reduction. Please contact our Staten Island Dental Office with any inquires and to schedule your appointment.